The Texas Department of Transportation brought in additional snow plows from the West Texas and Childress areas to help clear ice and snow off North Texas roadways. The additions bring the total number of plows in the area to 74. But the secret ingredient may be in what the sand trucks are now filled with. 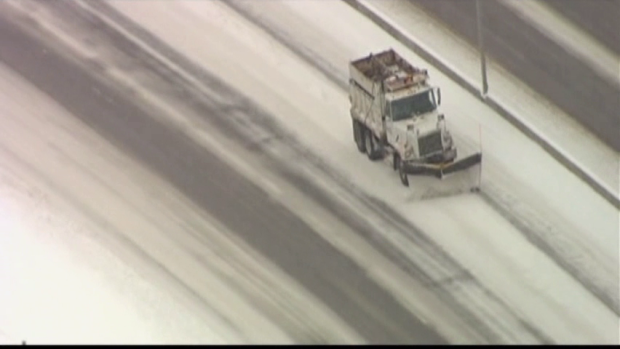 Instead of the earlier combination of sand and salt, TxDOT officials said they are adding more salt into the mix, which should help melt the ice and snow more quickly. Crews will continue to use the plows first, then follow with a truck carrying magnesium chloride or the sand/salt mixture.